Low floor apartment with garden in a gated residential with comunal pool. 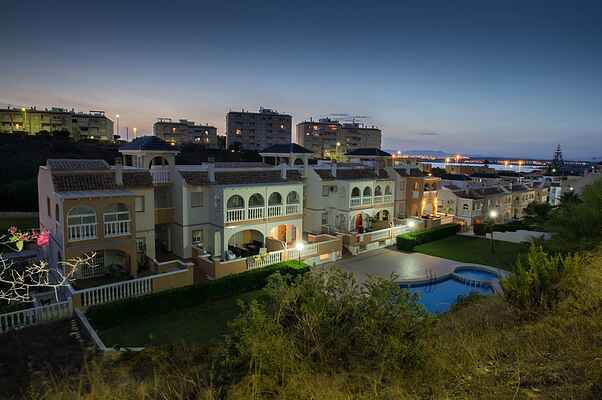 800 m away from La Mata beach. Master bedroom with double bed, bed sofa and ensuite bathroom, second bedroom with 2 single beds, laundry with bed sofa for additional guests. Centralised aircon. WIFI. Barbecue. Sat TV channels. Towels/Sheets included in the price. Add 40 euros for final cleaning.